This project was the result of Supt. Otis Rule's efforts to secure federal aid in our area. It was started as a PWA project on February 15, 1934 and created work for 25 men. Lake Elsie was named for Elsie Rule, the wife of Supt. Otis Rule by Joel D. Woodbury, the Engineer of the school for the Blind. A dam was originally built in the spring of 1920 on the Lac Qui Parle Creek that runs through Gary. The dam washed out twice. 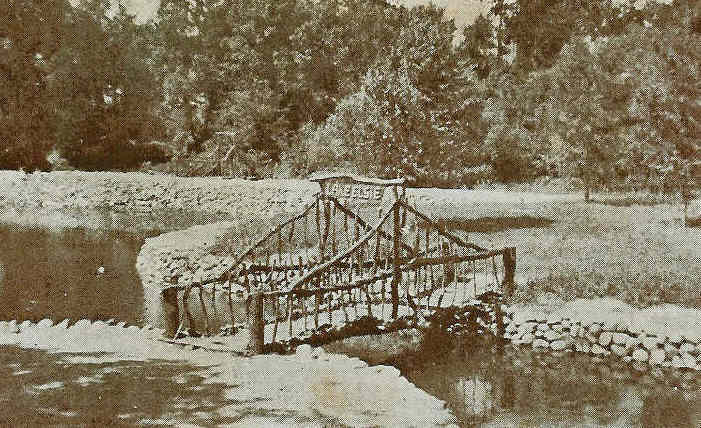 The last time it washed out was during a downpour on July 4, 1920. This dam would back up the water into a small artificial pond. In 1934 the lake was enlarged to several times its former size, an island was built in the middle and a driveway along three sides. The island was named Goss Island for Mr. Goss. Silt was removed and trees cleared. After excavation the excess dirt was placed on the ball diamond northeast of the lake. Some of the dirt was also used to build the road around the lake. After the dam was put into place is took 108 hours to fill the lake up. The southern edge of the lake was the shallow end being reserved for the youngsters and north of the island, by the dam, the water was eight feet deep. Steps were constructed along the water's edge for better access to the lake. Two picnic grounds were placed along the shore. The band and speaker stand was moved from the south campus of the School for the Blind and placed in the corner of the main picnic grounds. New benches and tables were also constructed. It was filled in time for the 4th of July celebration that was held at the park with a ball game, parade, fireworks, boxing, and water stunt show on the lake. A changing house was built in 1935, which was also used for a warming house in the winter when the interest would turn to ice skating. Lifeguards were hired in 1935 under the PWA project. 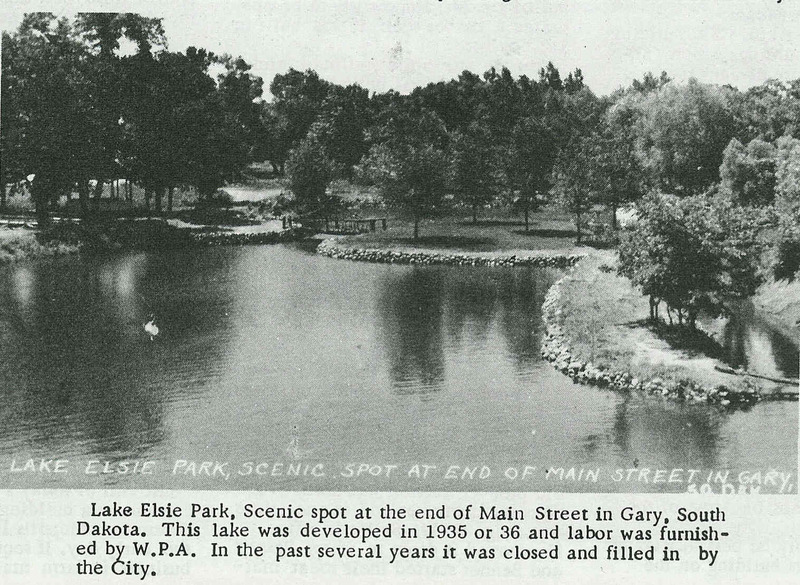 In July of 1937 Lake Elsie was drained and silt was removed by volunteer help. The dirt removed from the lake was used to widen the road around the lake. Supt. Linn of the School for the Blind proposed another PWA project for Lake Elsie in 1938. Rip rapping was done on the shore lines and a bridge was built to the island. In the late winter before the spring thaw, the dam would be removed to allow for the spring run off. The boards would then be put back in to let the lake fill back up. People from all over the country would come to the lake and park for picnics, meetings, school outings, and celebrations. The area was under the City's control by an easement agreement, that stated the City of Gary had control of the lake as long as they maintained it. After a drowning accident, the City pulled the planks and temporarily drained the lake. The lake was pushed in, without the City's authorization. Due to this act, the city lost its control on the property and the land reverted back to whoever retained the ownership of the Blind School property.